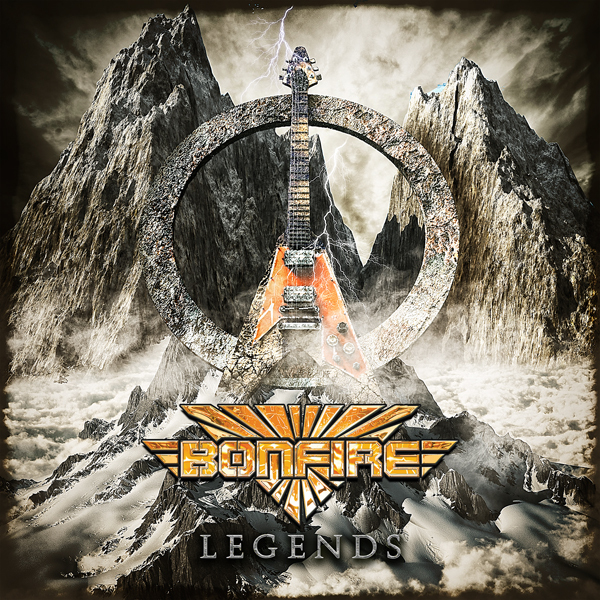 German hard’n’heavy legends BONFIRE proudly present a covers album extraordinaire: “Legends” pays tribute to numerous legendary artists of the rock- and metal scene who all have toured (or will this Fall) with them. The personal connection can be felt throughout the entire double album (which consist of 32 songs, on 2 CDs, in total). No matter if BONFIRE give world hits such as Toto’s “Africa” or “Eye Of The Tiger” (Survivor) their individual touch or even enter heavy metal territory (Grave Digger’s “Rebellion”) – it’s perfectly executed and recognizable as BONFIRE versions right away. This covers double album (out October 19th) is the ultimate soundtrack for your next rock party!